Communication is difficult in the church. You stand in front of the congregation with many important thoughts to share. Things that God has put on your heart. You’ve prayed, prepared, and positioned yourself in the right place. When you start speaking, you have everyone’s attention. Then, slowly, you’re aware of people not fully paying attention. I even find myself so conscious of people not paying attention that I become consumed with that distraction even while I’m still making my point. I’m, in fact, not paying attention to what I’m saying either! 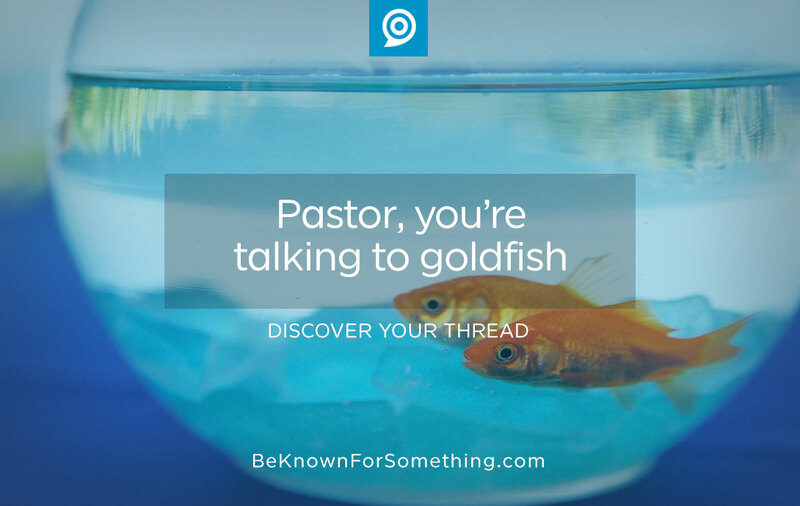 We’re all talking to goldfish. Or, correct that, goldfish would pay attention more! A recent research study of 2000 participants (they even monitored brainwaves in some) shows that thanks to our mobile, digital lifestyle, the human attention span has dropped to about 8 seconds (it was 12 seconds in 2000). All this time, it’s been assumed that goldfish have an attention span of about 9 seconds. We now have less than them! One Overarching Thread. Your sermon should be about one point. You may have 3 sub-points but they should reinforce the big point. Imagine what someone would answer when asked: “what’d the Pastor just talk about?” They’ll usually remember the BIG message. So make sure you repeat the main thread that stitches together the subordinate points. Simplify and Synthesize. Edit. Edit. Edit. People will pay attention if you have an 8-second sermon. But you can’t say much in 8 seconds. 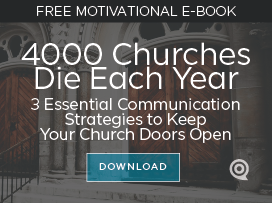 Gone are the days when you can have a congregation listen to a 40-minute message. So why talk longer than they’ll listen? Instead, come up with a happy medium somewhere between 8 seconds and 40 minutes. Interrupt Frequently. If you go over 8 seconds (and we all do), make sure you interrupt the congregants regularly. Use all the senses and learning styles to do it. Have a video interruption, show a photo, or have a visual aid for the point. Even a well-prepared powerpoint slide or a carefully planted pause can interrupt. Tell a Story. The best interruption? Your ability to share a real-life story that makes your point. It doesn’t have to be funny. It just has to have the elements that make a great story: a villain, a victim, and a hero. We’ve been in services where we can sense that everyone isn’t paying attention; then the Pastor says “let me tell you what happened to me at the grocery store this week”. Almost instantly, every person jumps back into the sermon. It’s creating a visual interruption in our imaginations. When the story ties to the main point, there’s incredible power in that. Why do I write short, one thought, articles like this? For the same reason. I write as brief as people like to read. You need to do the same with your sermons. Get their attentions, hold them as long as you can, then bring them back every few minutes. They’ll be glad you did.